I've flown all over the world, and it just so happens that I travel in a wheelchair. 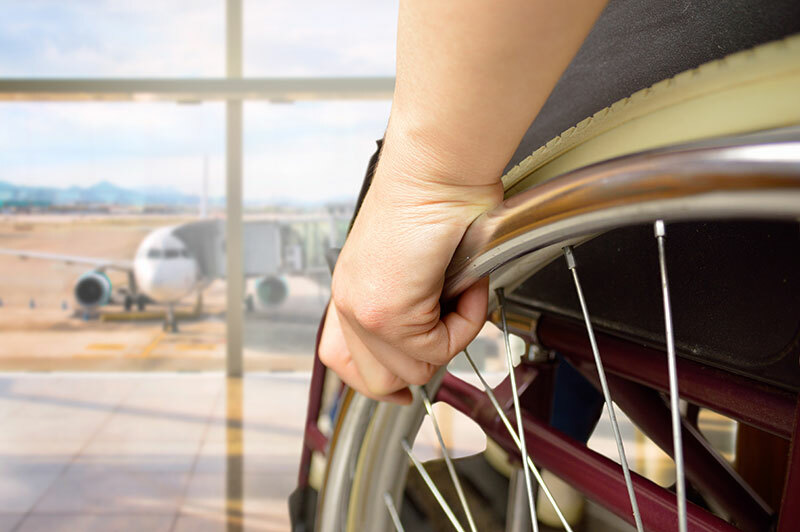 Air travel can be uncomfortable for many people—with or without a wheelchair, but maybe my tips can help! I like to arrive at the airport 90 minutes before an international departure. I prefer to check in with an agent and not the self-check-in because I might miss something. This way I can let the airline know my boarding needs, have them check my wheelchair, prepare an aisle chair and make arrangements to have a wheelchair at my transfer gate or destination. The aisle in an airplane is too narrow for your regular-sized wheelchair, so you'll have to check it as special luggage. You'll use an aisle chair provided by the air carrier to board the plane and use the bathroom. Make sure you ask for assistance when transferring from your in-flight seat to the aisle chair. Or, if you're traveling with a friend or family member with a disability, familiarize yourself with the aisle chair's location during flight. 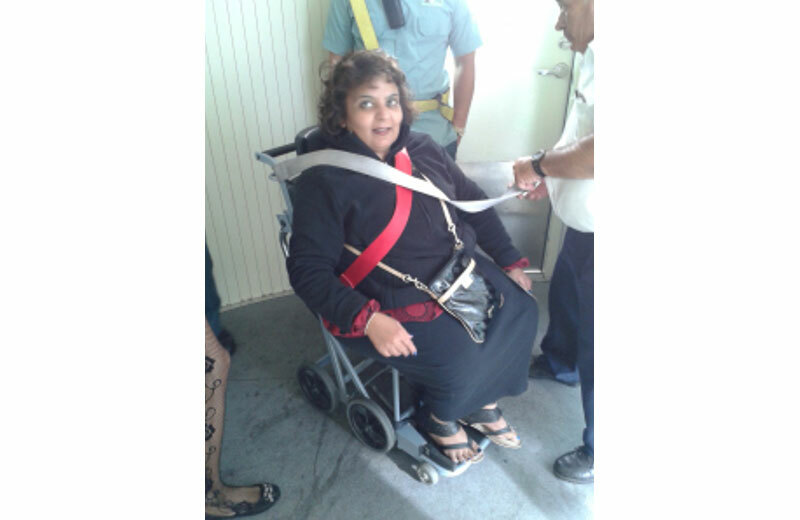 Air carriers should ensure your own wheelchair is waiting for you at the gate upon arrival, but don't make the same mistake I did. Make sure you've properly checked in your wheelchair and received a special item luggage tag. You don't want to arrive at your destination to find your chair isn't waiting for you! It happened to me when I flew to Pakistan. I arrived in Karachi, but my wheelchair was in Montreal! Thankfully the Red Cross rented me a wheelchair and my own chair arrived the next day. When I fly from Vancouver to Pakistan, it's more than 15 hours in the air, not including the lay-overs in London or Hong Kong. For long-haul flights, this well-known tip applies to passengers in wheelchairs too: drink lots of water and avoid alcohol! More specifically though, ask for a bulkhead seat: it's the row of seats directly after the partition. The bulkhead offers more "leg room" or in my case, more space to maneuver the aisle chair. It's not possible for people with disabilities to sit in the emergency exits. 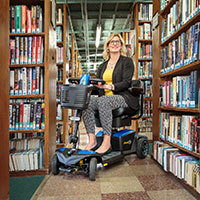 Keep this in mind if you're booking on behalf of a traveling companion in a wheelchair. Every traveler should know their rights, but especially people with disabilities. International Air Transport Association and the Association of Air Passenger Rights are both excellent resources for all passengers. The Canadian Government Flight Rights site and the American Air Carrier Access Act is also helpful. Take care and keep traveling! For all your accessible travel needs, contact Travel for All's Accessible Travel Specialist Tabassum Chagani Tabassum@travel-for-all.com, (888) 993-9295 or (604) 715-5208. Visit her online at https://travel-for-all.com and get more travel tips from her newsletter.